Prickly and Bitter: What is the proper name for this plant?! What is the proper name for this plant?! This plant was rather interesting to identify; it took me a long time to accept that I had found the correct plant because of the plants it was most closely related to. 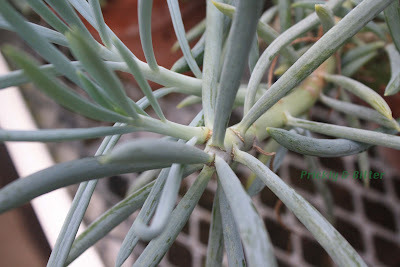 Blue chalk sticks (a pretty awesome common name, even if the "sticks" are leaves and they can't be used like chalk even if you dehydrate them) are native to South Africa and the surrounding area, in dry, hot locations. 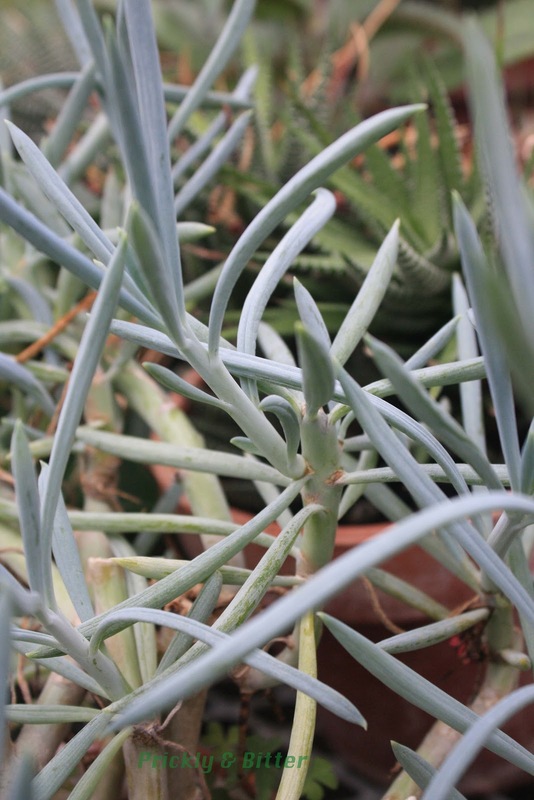 They are succulents, meaning they store water in their leaves to use during times of drought. And that's basically all I could find out about this plant! When it comes to plant identification, it's amazing how little can be found about certain plants. This one, for example, doesn't actually seem to exist. 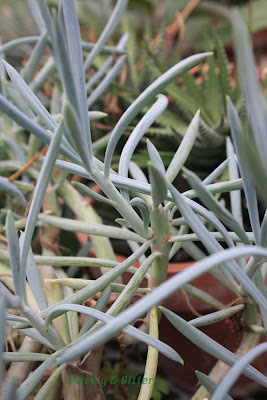 It was previous named in the genus Senecio, and I'm not entirely sure how it got there. Senecio, or the ragwort or groundsel group, is closely related to the common dandelion (which you can read all about HERE). If you picture what this plant and what a dandelion look like, they look absolutely nothing alike, not even if you use your imagination. I've never seen the flowers on this plant, but I can't imagine them looking like dandelions, either. Somewhere down the line this species was moved into the genus Kleinia, which doesn't seem to have a common name. The affinities (the closest relatives) of these species are still up for debate since none of them have had their DNA sequenced. The icing on the cake with the blue chalk sticks is that according to Wikipedia (a remarkably accurate resource when it comes to current taxonomy), this species doesn't exist in any genus. One page says it's a Kleinia, but links to a page with photos that calls it a Senecio, but neither of the pages which list species names of either of these genera have it listed under current species. So where does this species belong? What is its current name? What are its closest relatives? Your guess as to the answer of these questions is as good as mine. My thoughts: this plant is actually just a blue variety of Senecio barbertonicus. Based on images, these two species look strikingly alike, except for the colour of their leaves. I'll have to keep going back to the greenhouse to see if I can catch this plant flowering to see if the flowers are the same. 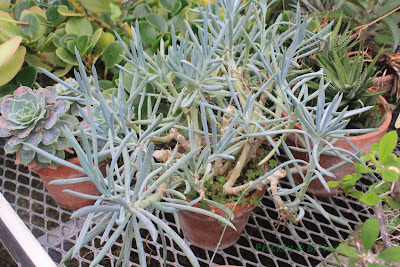 There are some exceptionally odd species of both genera (Senecio and Kleinia) that are only known from cultivation, which should make you wonder if they're true species at all. This is a perfect demonstration of why we need to sequence more plant species so we have an idea of the diversity on Earth. 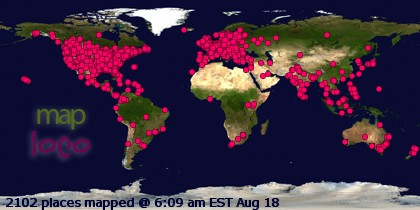 Right now we really are flying blind! Stay away from this plant! It's not Christmas, but here's a Cactus!